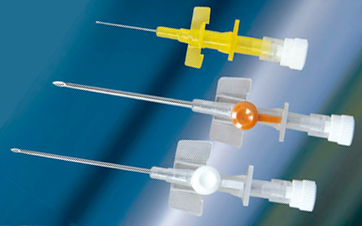 Cathy - Hindustan Syringes & Medical Devices Ltd.
VOLEX proprietary polymer, Cathy I.V.cannulas (with/without injection port cap) make a technological leap into the future of medical care with a never-before range of benefits for both, the patients and medical staff. Ease of insertion without peelback-making second and third reinsertions possible without having to throw away I.V. Cannulas on unsuccessful cannulation. Fewer complications-minimising the risk of thrombus generation while reducing medication costs. 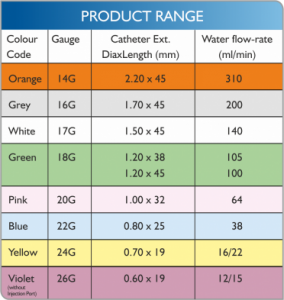 Minimal trauma as the penetration force required is 30% Lower then of PTFE catheters. Minimal intimal irritation and risk of phlebitis. 2 way/1 way I.V. Cannula with wings. It is provided with low pressure injection valve to facilitate extra medication and to prevent its back flow. The valve is protected with easy to open Injection Port Cap. 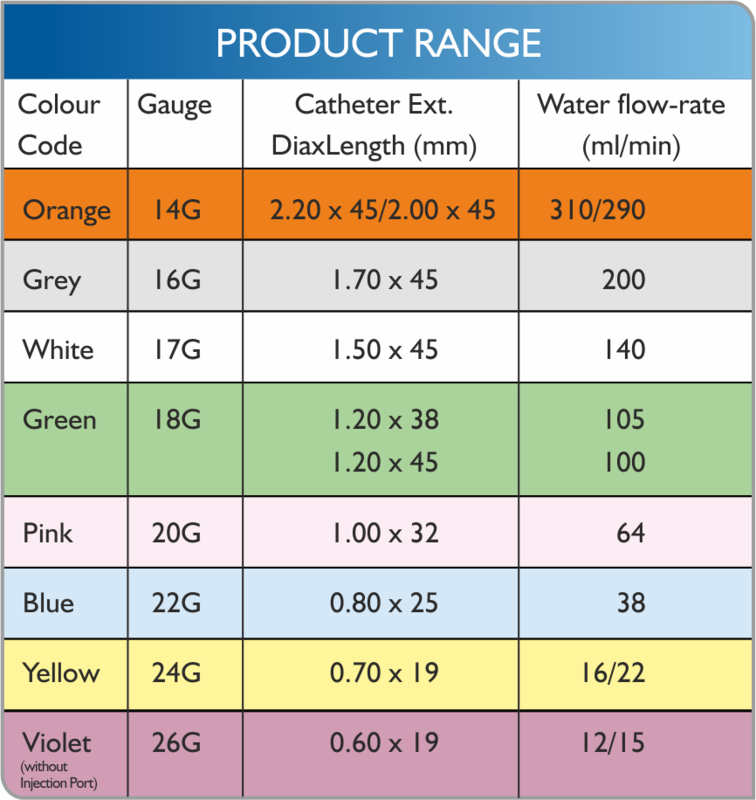 Coloured Injection Port Cap for size identification. It offers safe and convenient method of atraumatic administration of medicines. 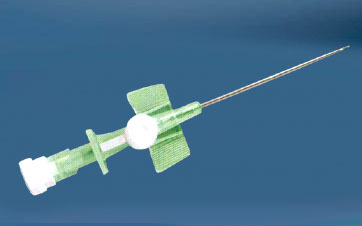 Angled & grooved wings offer easy fixation and prevent shifting & rolling of cannula in the patient’s body. Wings are made up of nontoxic, medical-grade polypropylene compatible with any medication. The injection port and the receiving end of the wing have a 6% luer taper as per ISO:594. Incorporates a flash-back chamber in the hub, blood stopper and luer lock cap. Needle is made from cold rolled stainless steel strip. The tip of the needle has a short bevel ‘back’ cut point for easy catheterisation and minimal pain and risk of perforation. Before use, check the integrity of the sealing. * Conform to : ISO 10555-1 & ISO 10555-5 standard.